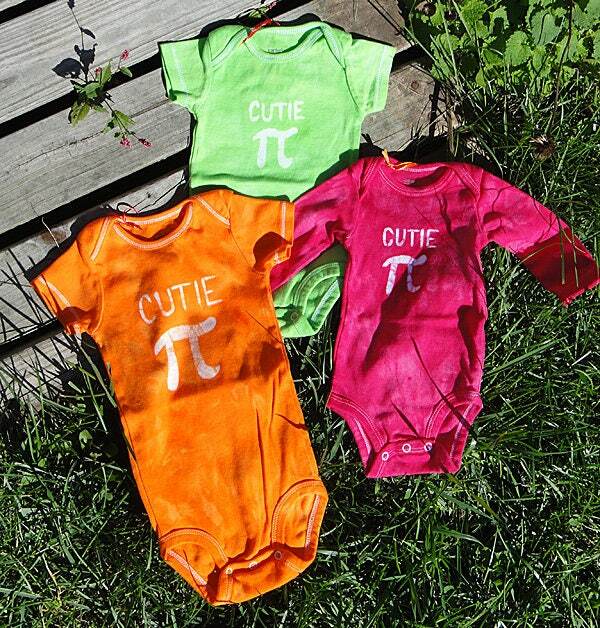 Are you ready for Pi Day? 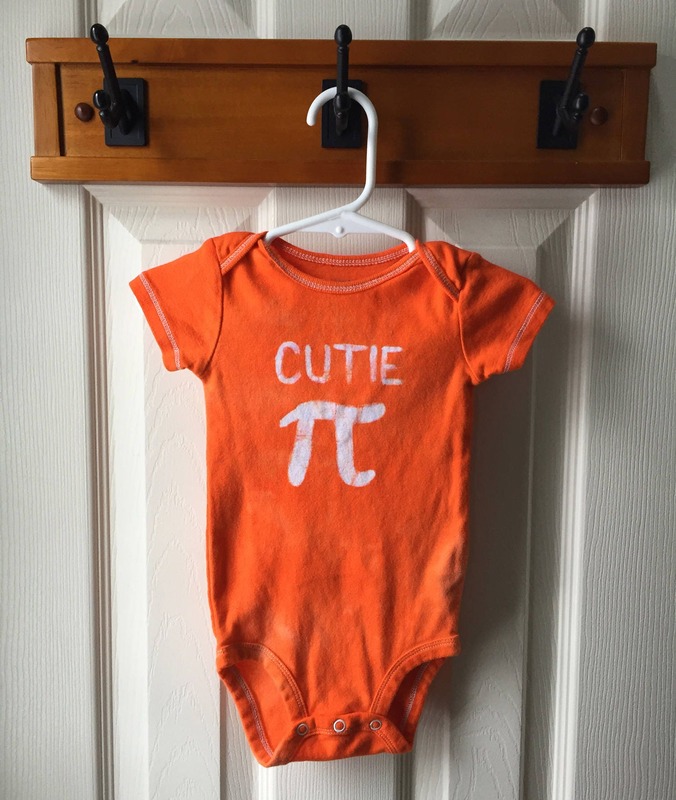 Or, maybe you know an engineer or mathematician who is expecting a baby! 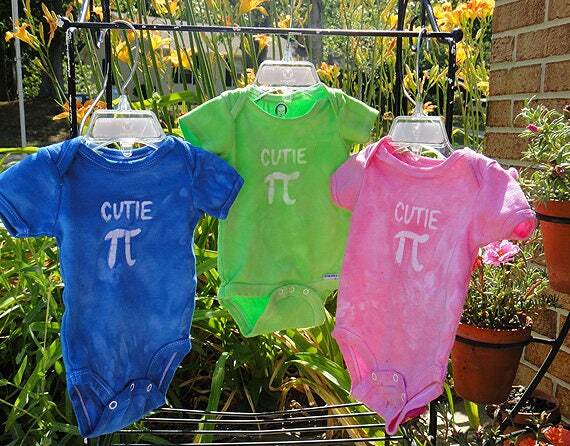 Either way, my Cutie Pi baby bodysuits are definitely nerdy cute. 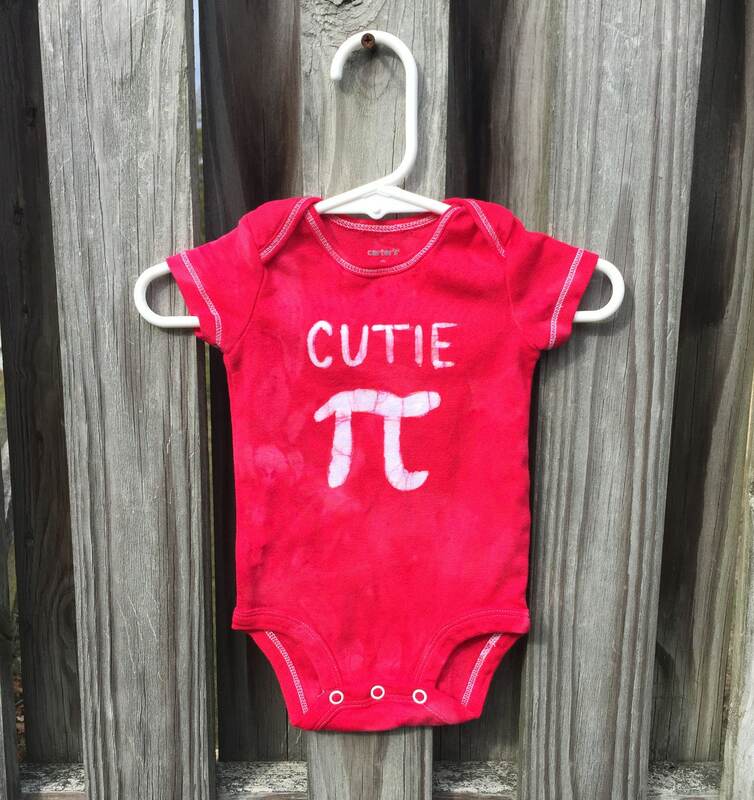 I stencil my original Cutie Pi design onto the chest of a Simple Joys by Carter's brand bodysuit before dyeing the garment the color of your choice. 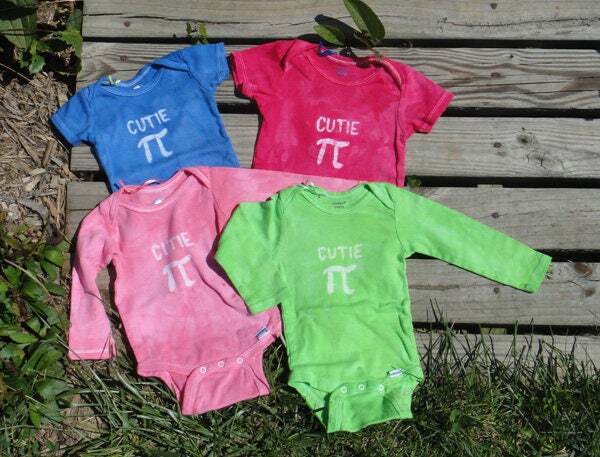 Available in long or short sleeves in preemie, newborn, 0-3m, 3-6m, 6-9m, and 12m. 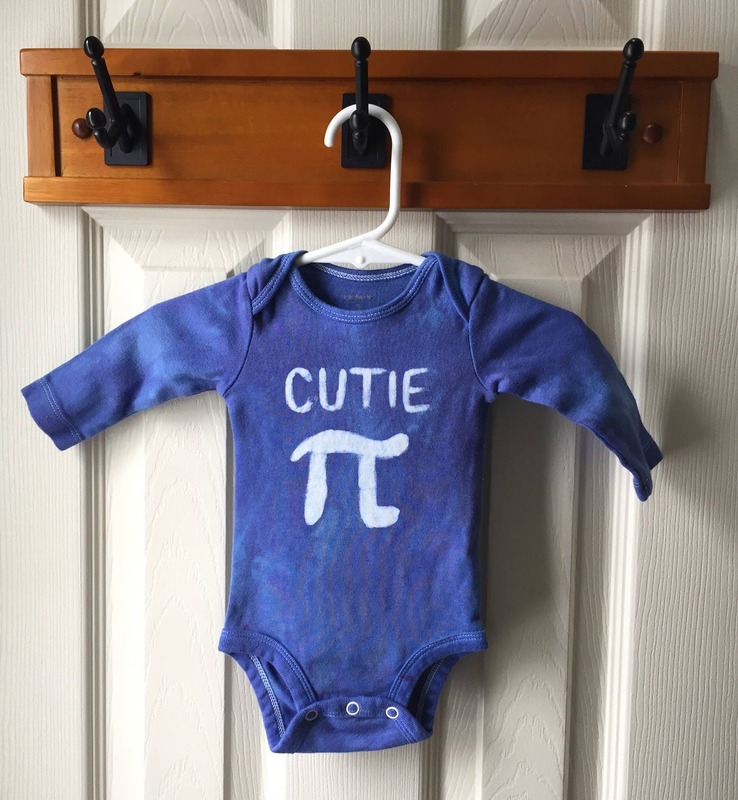 These Cutie Pi bodysuits are made to order. Turnaround time is typically 7-14 days. Please convo me to find out what my current turnaround time is.